Nuclear Power in Oregon, The Nuclear Energy Institute. Hank Azaria: K-12 TLC Guide. 1/14/00: The Simpson Get a Star in Hollywood (audio: 2:30). K-12 TLC Guide to Tess Gallagher. Raymond Carver's 'Writer's Life' Poignantly Exposed. "Locking Yourself Out, Then Trying....". Interview (audio), National Public Radio. Groening, Matt: K-12 TLC Guide. An Interview with Jane Kurtz. 03/21/1905: The Birth Date of Phyllis McGinley: Women in Poetry. K-12 TLC Guide to RNA. Linus Pauling: A Centenary Exhibit, Oregon State University. K-12 TLC Guide to Physics. "New State of Matter at Low Temperature". Wu, David: K-12 TLC Guide. 11/21/00: Solving Cable Access Problems (3:40). Exchange Students Tackle Football, English in Oregon. Youngs Bay: K-12 TLC Guide. Astor Expeditions: 1811-1814, University of Virginia. Astoria & Warrenton Area Chamber of Commerce. Friends of the Astoria Column. 09/08/1810: First Pacific Fur Company Ship Sets Sail for Oregon. 02/15/1812: Wilson Hunt Expedition Arrives in Astoria. 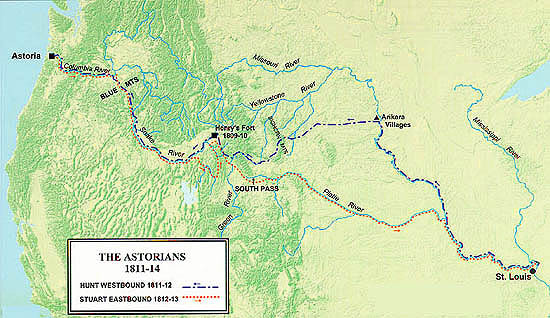 10/23/1813: American Fur Traders Turn over Astoria to British . 09/09/1942: Japanese Drop Incendiary Bombs on Oregon Forest. Shakespeare Festival Thrives Despite Economic Downturn. INS Tensions in Portland (audio: 4:30). The Gentrification of Portland (audio: 7:30). 01/23/1851: Portland Is Incorporated as a City. 02/04/1890: The Willamette River Floods Portland's Front and First Streets. American Association of Educational Service Agencies. 04/01/00: Daylight Savings Time (2:45). 05/30/00 Supreme Court's Ruling (4:00). 05/31/00: Law Put into Effect (3:30). 06/05/00: Cell Tower Controversy (4:00). 09/02/00: INS Tensions in Portland (4:30). Election 2000: K-12 TLC Guide. 10/31/99: Vote by Mail (4:30). 05/12/00: Too Many Initiatives? (5:00). 10/10/00: Oregon & the National Results (2:00). 11/09/00: Vote by Mail a Success (3:30). Modoc Tribes: K-12 TLC Guide. Center for Columbia River Conservation. K-12 TLC Guide to Covered Bridges. Early Oregon Pioneers, Oregon Genealogical Society. 09/08/1810: First Pacific Fur Company Ship Sets Sail: New York to Oregon. 01/05/1846: U.S. House Resolves to Cease Sharing Oregon Territory. 09/09/1942: Japanese Drop Incendiary Bombs on an Oregon Forest. Missionaries in the Oregon Territory. Organic Seed Farmers v. Engineered Seed Farmers. Portland Taiko Japanese Drum Music: 9/11/00 (7:19). Oregon History, RootsWeb Data Cooperative. K-12 TLC Guide to Chinese Immigration. Famous Oregonians, 50 States and Capitals. K-12 TLC Guide to Japanese Immigration. Confederated Tribes of the Umatilla Indian Reservation. Indian Tribes of Northeast Oregon. Tribes and Villages of Oregon, Tribal Contacts. The Wagon Train of 1843: The Great Migration. Interesting Names and Places in Oregon. Historic Sites on the Oregon Trail, Idaho State University. Indian Tribes of the Northwest, The National Park Service. 2001: Pulitzer Prize for Feature Writing. 2001: Pulitzer Prize for Public Service. K-12 TLC Guide to Rainforests. Heceta Lighthouse, The Stock Solution. Oregon Chapter of The Nature Conservancy. Oregon Landmarks and Sites, The Overland Trail. Oregon Recreation and Travel Information. Astoria Column: K-12 TLC Guide. 06/12/1853: John Hillman Finds Crater Lake. 08/11/1911: Author Jack London Passes through Medford, Oregon on His Way to Crater Lake. Government Island: K-12 TLC Guide. Grande Ronde, Idaho State University. Cascades Mountain Range: K-12 TLC Guide. The Pacific Northwest Seismograph Network. 08/06/1867: 4 Men Complete the First Documented Ascent of Mt. Hood in a 5 1/2-Hour Climb. 07/19/1894: Atop the Summit of Mt. Hood, 105 Climbers Become Charter Members of the Mazamas Climbing Club. 08/23/1947: A Party of 9 Climbers Rides a Bicycle on Mt. Hood's Summit. Mt Hood Area Chamber of Commerce. Columbia River: K-12 TLC Guide. Water Falls: K-12 TLC Guide. Chief Joesph: K-12 TLC Guide. Oregon Parks and Recreation Department. West Multnomah Soil & Water Conservation District. Lewis & Clark's Columbia River.